Diana Prince is one of the toughest heroes out there, but she also has one of the best senses of fashion. This cape is a prime example of her superior style! This officially licensed cape is light blue, with printed stars on the back. Imagine going through your day, doing things like going to the grocery store and taking the dog for a walk, all while wearing a cape. Your day is going to feel way more exciting and you're going to feel way more fulfilled as a result. 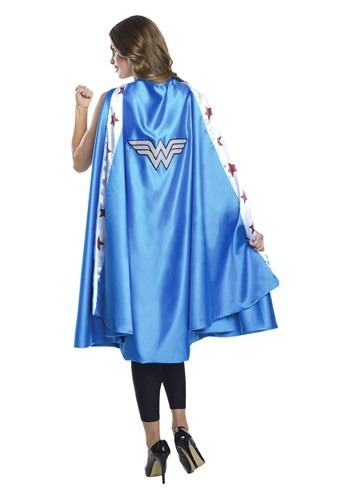 All that is possible by incorporating this Adult Deluxe Wonder Woman Cape into your wardrobe. We promise you won't be disappointed.